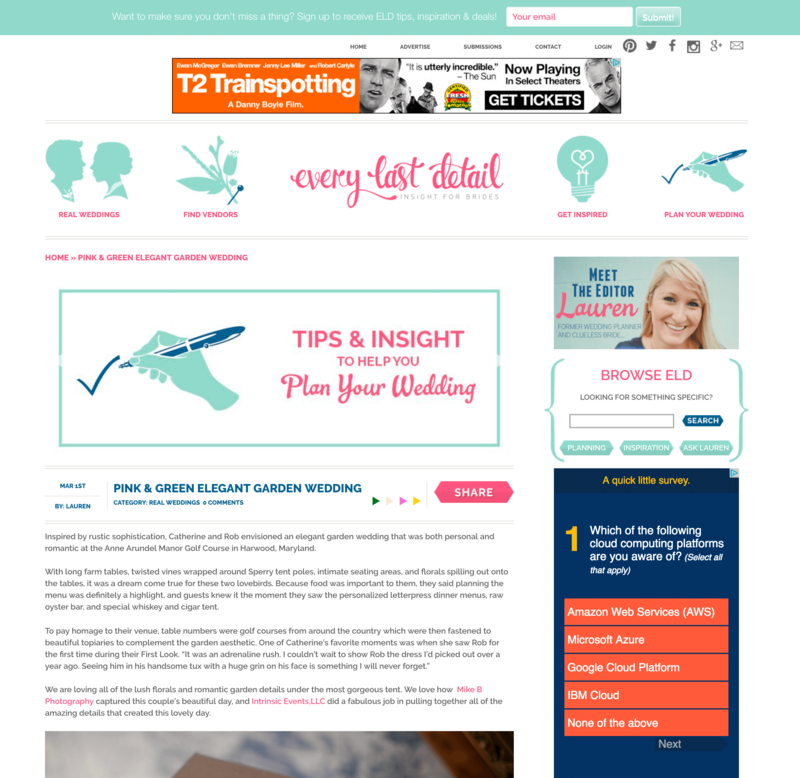 Wedding PR: Every Last Detail, Brides.com and more! Happy Monday to everyone! Our latest client roundup includes exciting features on Every Last Detail, Brides.com, Charm City Wed and so much more. Be sure to read on and check it all out below. Mike B Photography was featured on Every Last Detail with his real wedding feature, Pink & Green Elegant Garden Wedding. See the full feature here. Belladeux Event Design was featured on Travel Pulse with her inclusion in 8 Tips for First Time Mardi Gras Travelers. See the full feature here. Destination Weddings Travel Group was featured on Brides365 with their inclusion in 3 Unforgettable Honeymoon Ideas. See the full feature here. OFD Consulting was featured on Social Tables in the guest blog, Publicizing Business Events: 3 Tips for Drawing Attention to Your Next Event. See the full feature here. Destination Weddings Travel Group was featured on Brides with their inclusion in These Airport Lounges Will Make Your Honeymoon Even Sweeter. See the full feature here. Be Photography was featured on Charm City Wed with his real wedding feature, Hunt Valley Golf Club Wedding by Be Photography. See the full feature here. Turner Photography Studio was featured on Borrowed & Blue with their real wedding feature, White & Pink Nuptials in Maryland. See the full feature here. Bergerons Flowers was featured on Borrowed & Blue with their real wedding feature, Summer Romance at Rock Hill Plantation. See the full feature here.